We are a leading Manufacturer of safety aprons from Mumbai, India. We are leading manufacturer of Safety Aprons / Sleeves / Leg Guard. Made out of heavy quality Fabric - Leather / PVC / Aluminized fiberglass / Aluminized Heat Resistant. 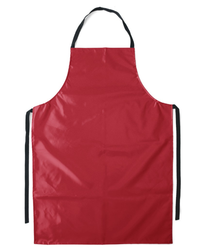 Looking for Safety Aprons ?